Lynn Strongin was born in New York City. She has made British Columbia, Canada her home for the past 25 years, taking advantage of British dialects to enrich her work. 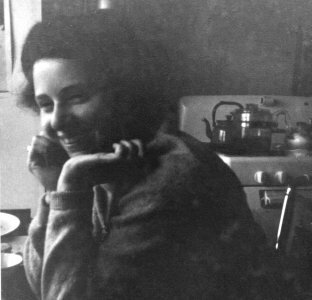 In the 1960s, she worked for Denise Levertov in politically active Berkeley. Her poems have been published in several countries including: Italy, England, Canada, Scotland and the USA. She has 7 published books, and her work is in 30 anthologies, and 55 journals (online and in print). She is also the recipient of two PEN grants, and one NEA creative writing grant. Journals her poetry has appeared in include: Shenandoah, The American Voice, Prairie Schooner, and Poetry. Her anthology The Sorrow Psalms: A Book of Twentieth Century Elegy will be published by the University of Iowa Press in 2006; and she will have a forthcoming summer feature in Action.